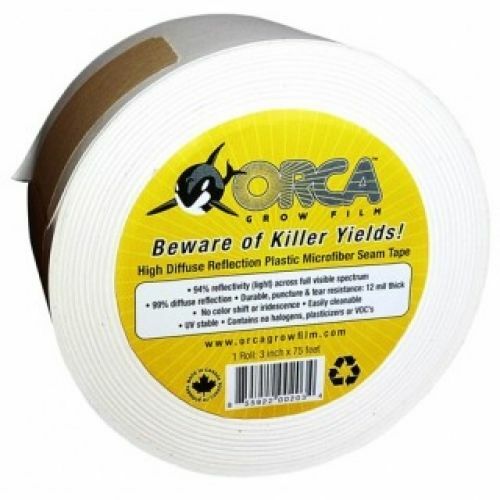 Orca Film and Tape are reflective films which have the highest reflective properties (+ 94%) of any film. Orca Film and Tape are reflective films which have the highest reflective properties (+ 94%) of any film. They are exceptionally strong with particularly good IR reflective properties and are Teflon-coated for easy cleaning. Most films have around 70% (black/white) to 87% (aluminium/mylar) reflection.